510367. CALABRIA, Tarentum. Circa 272-240 BC. AR Nomos (20mm, 6.58 g, 6h). 510365. CALABRIA, Tarentum. Circa 272-240 BC. AR Nomos (19.5mm, 6.49 g, 4h). 510362. CALABRIA, Tarentum. Circa 272-240 BC. AR Nomos (19.5mm, 6.29 g, 8h). 510507. BRUTTIUM, Kroton. Circa 530-500 BC. AR Nomos (28mm, 8.94 g, 12h). 510845. SICILY, Entella. Punic issues. Circa 300-289 BC. AR Tetradrachm (25mm, 16.45 g, 10h). 510846. SICILY, Segesta. Circa 455/0-445/0 BC. AR Didrachm (23.5mm, 8.18 g, 11h). 510848. SICILY, Selinos. Circa 455-440 BC. AR Didrachm (22mm, 8.67 g, 12h). 510730. CARTHAGE. Circa 350-320 BC. AV Stater (20mm, 9.31 g, 10h). 510728. CARTHAGE. Circa 350-320 BC. AV Stater (19.5mm, 9.51 g, 1h). 510729. CARTHAGE. Circa 350-320 BC. AV Stater (19mm, 9.20 g, 9h). 510855. CARTHAGE. Circa 300 BC. AR Shekel (19mm, 7.59 g, 12h). Carthage mint. 510849. MOESIA, Istros. Circa 313-280 BC. AR Drachm (17.5mm, 5.16 g). 510850. THRACE, Abdera. Circa 360-350 BC. AR Tetrobol (15.5mm, 2.53 g, 1h). Molpagores, magistrate. 510910. THRACE, Apollonia Pontika. Circa 410/04-341/23 BC. AR Tetradrachm (23mm, 17.05 g, 12h). Megeno(r) (II), magistrate. 496950. KINGS of MACEDON. Alexander III ‘the Great’. 336-323 BC. AR Drachm (16.5mm, 4.28 g, 1h). Miletos mint. 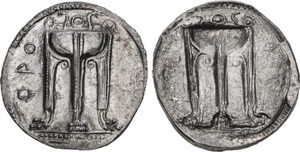 Struck under Philoxenos, circa 325-323 BC. 496954. KINGS of MACEDON. Alexander III ‘the Great’. 336-323 BC. AR Drachm (16mm, 4.26 g, 12h). Miletos mint. 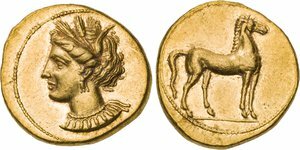 Struck under Philoxenos, circa 325-323 BC. 496955. KINGS of MACEDON. Alexander III ‘the Great’. 336-323 BC. AR Drachm (16mm, 4.26 g, 1h). Miletos mint. Struck under Philoxenos, circa 325-323 BC. 496964. KINGS of MACEDON. Alexander III ‘the Great’. 336-323 BC. AR Drachm (15.5mm, 4.27 g, 1h). Sardes mint. 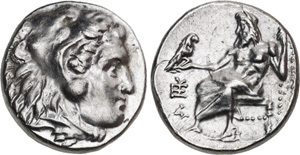 Struck under Menander, circa 324/3 BC. 496960. KINGS of MACEDON. Alexander III 'the Great'. 336-323 BC. AR Drachm (16.5mm, 4.25 g, 12h). Sardes mint. 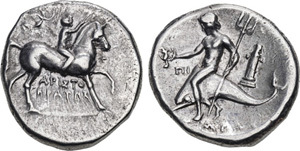 Struck under Menander, circa 324/3 BC. 506843. KINGS of MACEDON. Philip III Arrhidaios. 323-317 BC. AR Drachm (16mm, 4.30 g, 12h). In the name of Alexander III. Sardes mint. 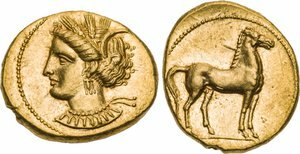 Struck under Menander, circa 323/2 BC.